DUE TO THE INCLEMENT WEATHER THE MARTIN LUTHER KING JR MARCH AND PROGRAM AS BEEN CANCELED. STAY TUNED FOR MORE INFORMATION. AMARILLO, Texas (Jan. 9, 2017) – The Amarillo Branch NAACP plans its annual march to honor the life and legacy of Dr. Martin Luther King, Jr. at 11 a.m. Monday, Jan. 16. Marchers will gather at 10 a.m. at MLK Park, 1501 W. Amarillo Blvd. 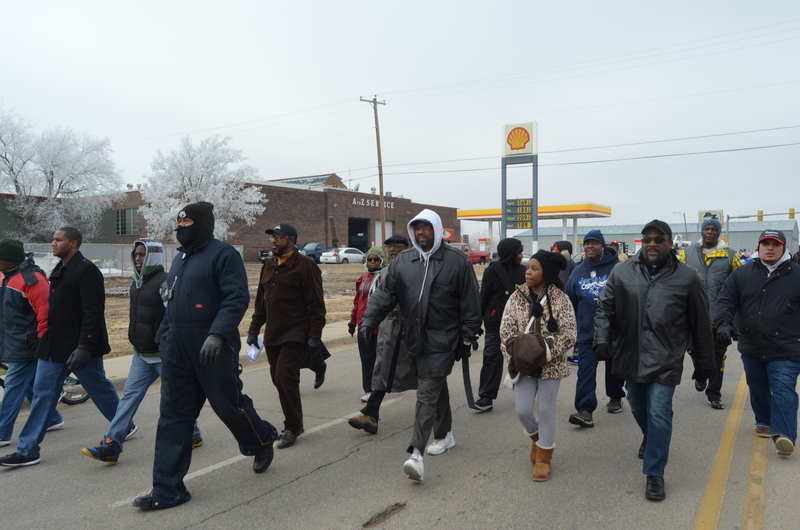 (west of the Hughes Street intersection), and begin the march toward downtown at 11 a.m. The march will cross the DeVaughn-Cortez Connector, proceed east on Southwest Third Avenue then south on Fillmore Street, concluding at the old Potter County Courthouse, Southeast Fifth Avenue at Fillmore Street. A program will follow at noon. For participants who cannot make the walk, transportation will be provided from MLK Park to the courthouse. All are welcome to join their neighbors in remembering Dr. King and his dream of a diverse and united nation. Amarillo Police Chief Ed Drain will be the keynote speaker at the noon program. In the event of inclement weather, the march will be canceled but the courthouse event will take place as planned. Dannae M. on MLK Luncheon set for February 25 Get Your Tickets Now!